Every month I hear nice compliments from readers of FreeTech4Teachers.com and the FreeTech4Teachers Facebook page followed by, "I don't always have time keep up with it." To solve that problem I started the PracticalEdTech.com newsletter. More than 9,500 people now receive that newsletter in their inboxes on Sunday evening or Monday morning depending on where they live. 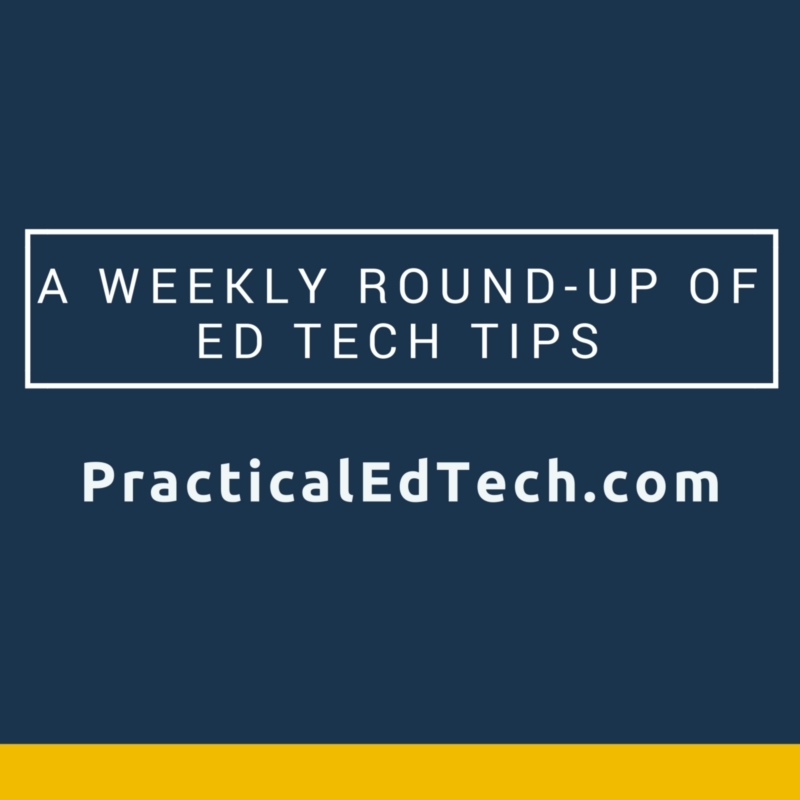 The PracticalEdTech.com newsletter includes my tip of the week and the links to that week's most popular posts on FreeTech4Teachers.com. The newsletter is sent out only once per week on Sunday evening (Eastern Standard Time). 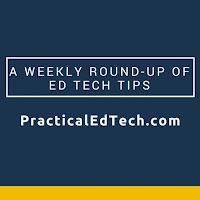 Click here to subscribe to the PracticalEdTech.com newsletter. And if you don't need another email in your inbox, you can simply visit PracticalEdTech.com to see the same information. As a bonus for subscribers to the newsletter I give a discount on the popular online courses that I teach through PracticalEdTech.com. Subscribers can also get a discount on the Practical Ed Tech Summer Camps. Email me at richardbyrne (at) freetech4teachers.com for more information on the discounts.